Do you know how to say No One in Portuguese? It can be a little tricky because in English we cannot use the double negative and in Portuguese we can and often need it! 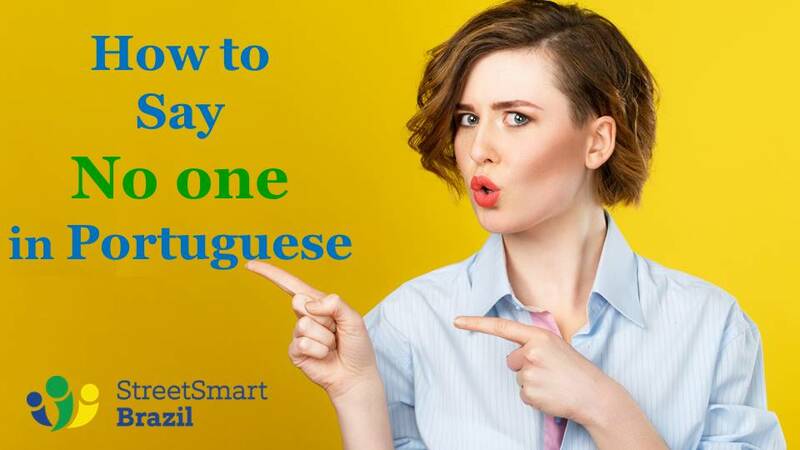 In this video lesson, I show you how to say No One, Nobody in Brazilian Portuguese to express ideas such as: No one answered the phone; It seems that nobody is home; or I don’t know anyone here. Ninguém means no one, nobody. 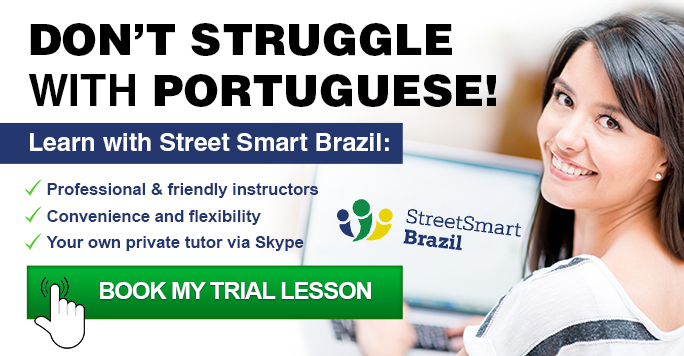 The trick is to learn how to use it correctly in Portuguese. Marta: Onde você estava ontem à noite? Liguei para a sua casa, mas ninguém atendeu. Leila: Ontem a gente foi ao aniversário da Maria. Por isso não tinha ninguém em casa. Marta: Where were you last night? I called your home, but no one answered. Leila: Yesterday we went to Maria’s birthday. That’s why there wasn’t anyone at home. As you can see, in English you use two different words no express that no one answered the phone and no one was at home. In Portuguese, it is different. We use the same word because we have no problem with the double negative. In fact, we often need to use a double negative. Ninguém may come before or after the verb. If you place it after the verb, you need to use the word não before the verb. = Não havia ninguém em casa. = There was no one home. Ninguém always refers to people, never to objects. It means no one or anyone. It does not mean nothing or anything. Ninguém fala francês aqui. = No one speaks French here. Ninguém is never followed by a noun and never has a noun right before it. In other words, you cannot say “ninguém pessoa”. Just say ninguém. Ninguém quer provar meu bolo? = Doesn’t anyone want to try my cake? Ninguém me convidou para a festa. = No one invited me to the party. Embrace the double negative. You will need it. And because in Portuguese we use the double negative, we don’t need to change from “no one” to “anyone”. We simply use ninguém. Parece que não tem ninguém em casa. = It seems that nobody is home. Não quero falar com ninguém hoje. = I don’t want to speak with anyone today. Eu não conheço ninguém aqui. = I don’t know anyone here. I hope this will help you use the word Ninguém correctly and with confidence. Stay tuned: In the coming weeks, I will publish similar lessons teaching you how to say some, any, none, and nothing. Make sure you are subscribed to receive new blog posts in your inbox. Simply enter you email address on the right hand side box here. Luciana, seu blogue fica melhor a cada dia, parabéns! I want to learn portuguese, not be pursuaded to spend my money. Meaning, you want people work for you for free?